Prominent & Leading Manufacturer from Ahmedabad, we offer auto bender machine, automatic cutting machine, semi auto bender machine, auto creasing cutting machine, auto bender machine 510ca and auto bender machine 320a. 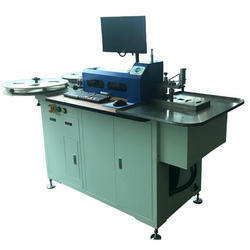 Being a noteworthy company, we have been able to provide Auto Bender Machine for our clients. This bender machine is widely demanded in various wood processing and finishing works to bend the edge in the required designs. The offered bender machine is designed and manufactured by our dexterous professionals by utilizing quality-approved components and advanced techniques. As per specific requirements of our clients, we offer this bender machine in different technical specifications at industry leading prices. 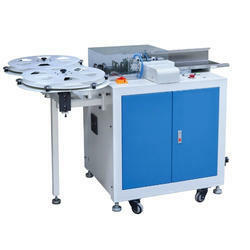 We are very modern in proposing an ideal nature of Automatic Cutting Machine. 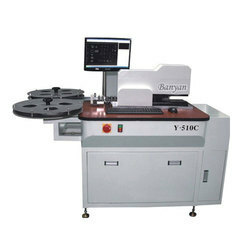 For full fulfillment of the customers, the nature of these cutting machines has kept an eye on very much characterized parameters set by the global industry. These programmed machines are comprehensively popular for its solidness and elite. We are authorized distributor in India. We are engaged in offering world-class SemiAuto Bender Machine to our clients. These machines are procured from the trusted names of the market. It is driven by a professional driving program with standard windows style and artificial intelligence and with strong drawing functions similar to auto cad. 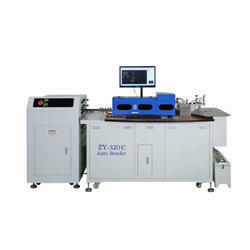 Intelligent cutting line program differential lengths of creasing line can be intelligently calculated according to differential over lap patterns, it is more convenience and time saving without manual operation. One key select lines by color or layers. Automatically break off and shrink. 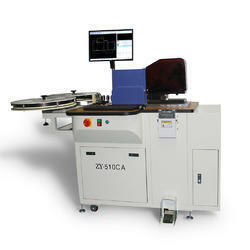 The process of automatic bending, lipping, cutting, bridging, flat cutting and so on functions. Our machine takes imported steel for bending mould which is tough, high strength, durable. With domestic unique rotary cutting mode and rotary lipping mode, the lip size can be adjusted. Cutter durability can be improved 3-5 times. Through the gear transmission, high precision and stable. 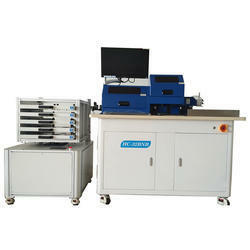 Self-developed updated automatic bending control system with powerful function. Complete english interface, easy to learn and easy to understand. Roller continuous feeding with servo digital work mode. 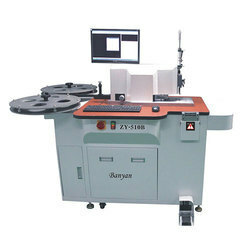 Control system support various kinds of file format, such as dxf, ai, nc and so on. Applicable to various kinds of process, such as boxes, dolls, cartons, flowers, edition. Approximate bending effect less time for fishing rule equipment, high work efficient. The process of Automatic Bending, Bridging, Cutting, Lipping, Flat Cutting And So On Functions. The process of automatic Bending, Bridging, Cutting, Lipping, Broaching, Flat Cutting and so on functions. Its purpose is just for touching of the blade after it is cut by auto bender machine. The process of automatic bending, bridging, cutting, lipping, broaching, perforating, nicking, flat cutting and so on functions. Our machine has two different grinding wheels for broaching, which can achieve different specifications of grinding grooves and it can also create various different sized perforating teeth. The bridge position and perforation function can be realized at the same time. The cutting effect can reach the seamless joint. The process of Automatic Bending, Bridging, Cutting, Lipping, Broaching, Perforating, Flat Cutting And So On Functions.